Our world is turning more digital every day. We always try to slow our boys down and have them play with mud and sticks like we did when we were kids, but we also know that they need to be ready to face any challenge that may come their way! That’s why they are also learning technology as much as they are learning love for nature and adventures. Coding is a skill that they will soon need in the world. 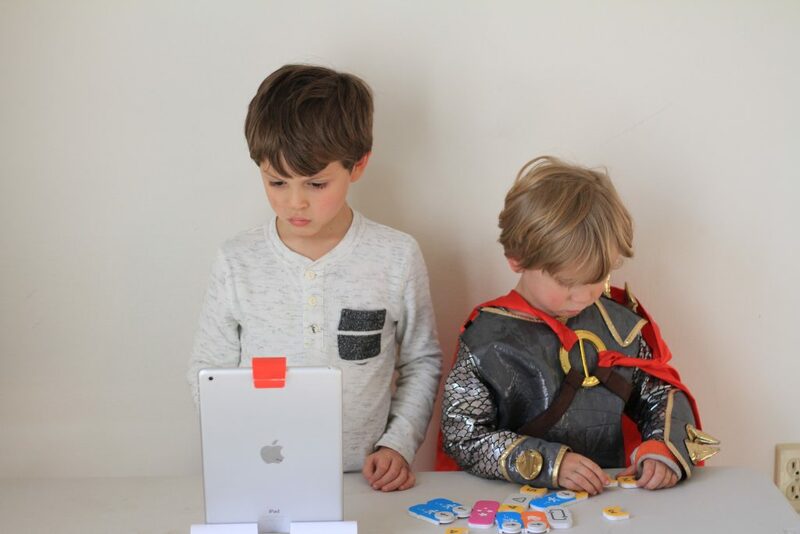 Coding for kids is made into a fun indoor game by our friends at OSMO and of course, the boys are loving it! 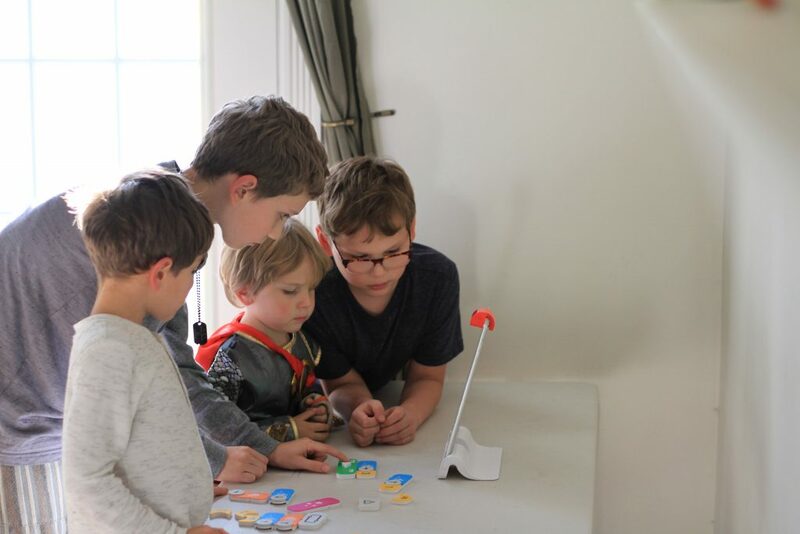 kids learn better when they get to experience and use their hands to create a memory, my boys had the biggest smiles the moment that they figured out how to complete a code to make an action happen, it was magical, they get a sense of accomplishment and independence that is priceless. Kids start with fundamental concepts such as sequencing, conditionals, loops, and building commands. Easy to learn for the littles, but basic enough that it doesn’t change as they advance and grow. They start playing and the learning comes naturally. It’s not a chore but a part of a magical adventure. 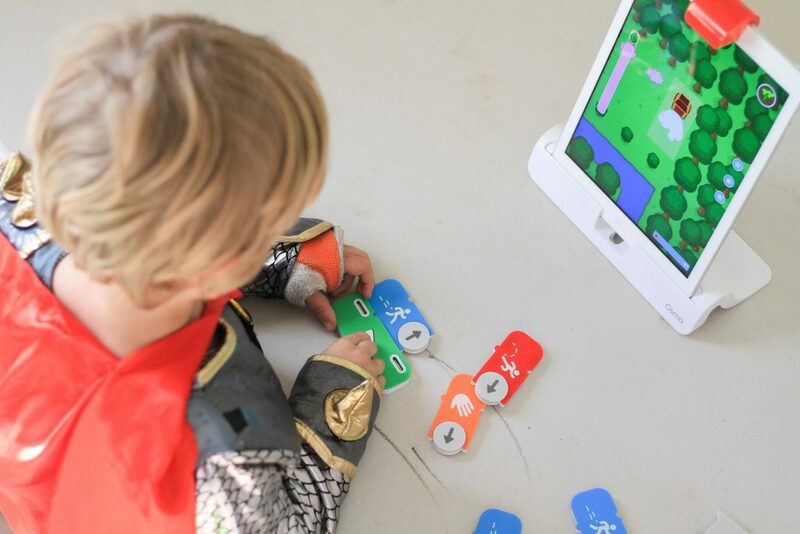 We can use our Osmo Coding games on our iPad or iPhone with a special base that helps the device to read the Osmo blocks on the table. 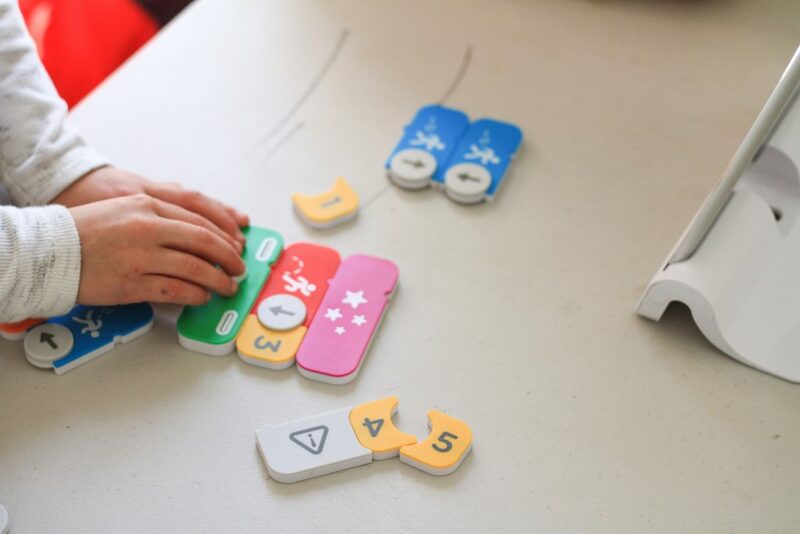 Each of the colorful blocks is very durable and magnetic so that it’s easy for little hands to put together and create a special command to make things happen on the screen and achieve the goal of the game. The full command is created by putting mini-programs together, represented by each individual block. Once the command is created, they press the play button and watch the magic happen. 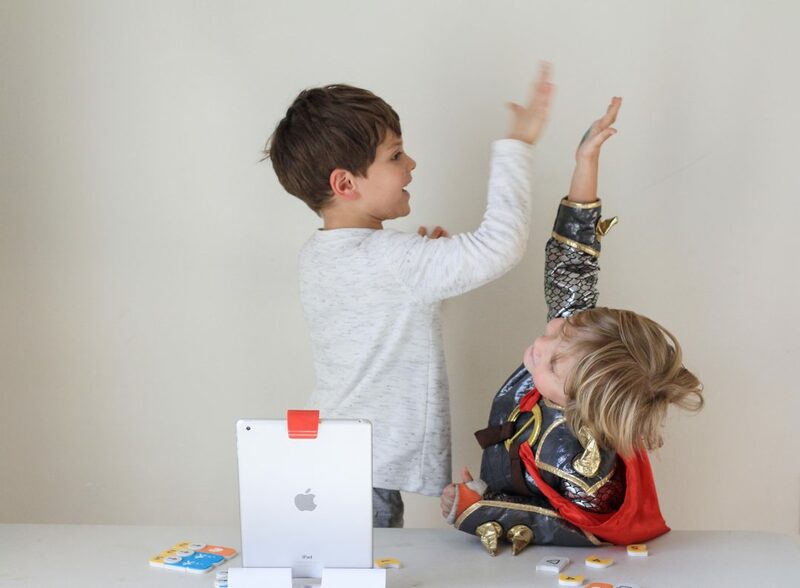 Besides your Osmo kit, you only need the various Osmo apps, which are all free and easy to download onto your devices. 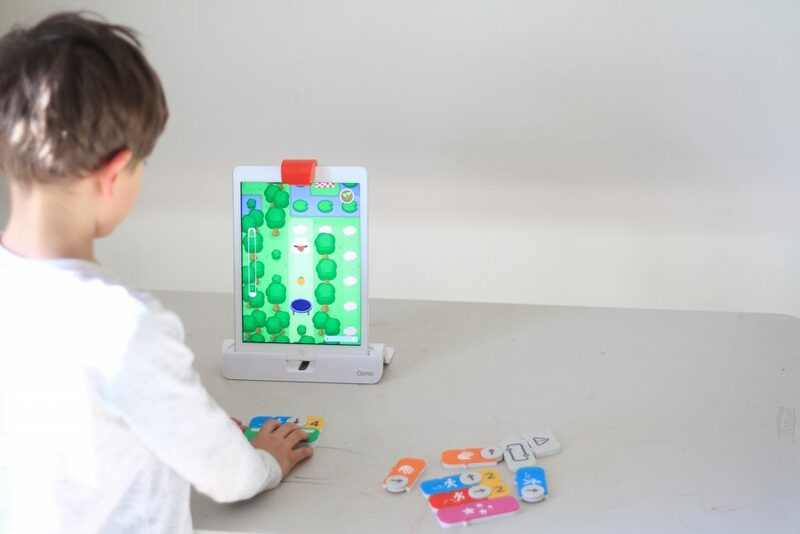 This is a game that I am excited to see my kids grab when they have screen time!! I love to see them learning a basic and very important skill that will prepare them for their future. I love that they are using their hands and brains and that they team up to play together and helping one another towards a common goal, which is also an incredible principle and skill to have for any human. 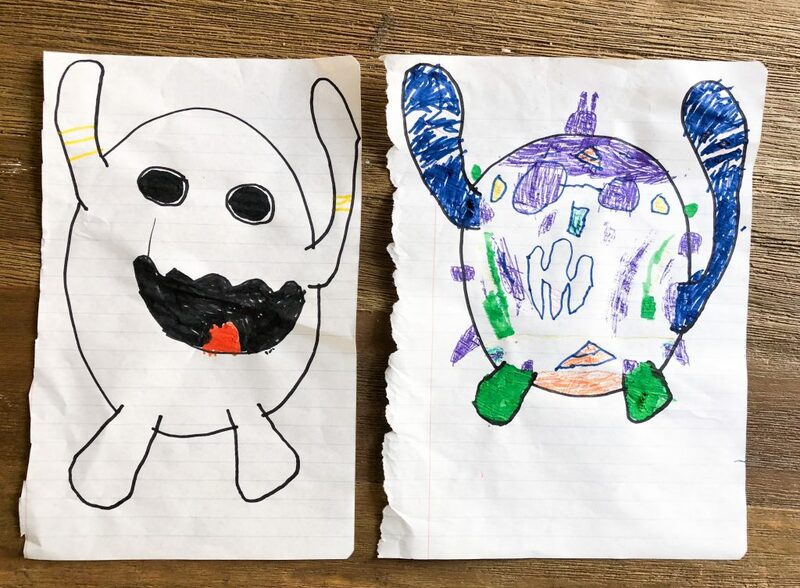 The boys love their Osmo so much, that they colored their own versions of Aubie, the friendly monster inside one of the coding games. Disclosure: We received this product for free to review, this did not affect my opinions, they are all my own and our love for it is forever!